Finding a job can be a long and tedious process. With potentially hundreds of other applicants applying for the same position, how do you stand out? Well, your resume is the first impression you make on an employer so it better be as perfect as possible. You need your resume to stand out and show the employer that you're the perfect fit for the position. 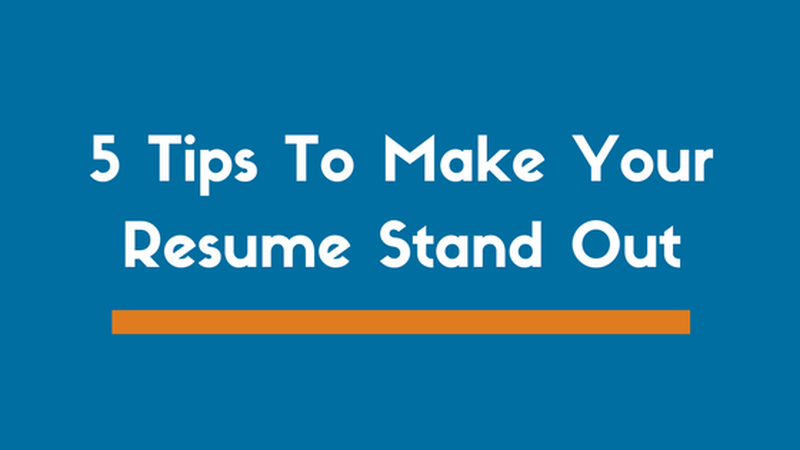 We've outlined some great tips to ensure your resume gets noticed. The majority of employers use applicant tracking systems to screen resumes before these resumes are reviewed by human eyes. Make sure your resume is optimized by using a standard resume format and keywords related to the position or industry. This is one of the most common resume mistakes job seekers make and it really reduces your chances of an interview. Most employers will reject a resume with even a couple of errors. Microsoft Word won't fix all your mistakes, so have a friend or professional look it over. Your resume needs to have achievements and not just everyday duties of your past jobs. Your employer expects you to do what you will be paid for. You need to include ways you went above and beyond to get your job done and this is best expressed by quantifying your experience. For example: "Increased sales 45% through new marketing and distribution channels"
This is really what employers look for. Are you sending a cover letter with every application? If the answer is no, you're making a big mistake. Studies have shown that a well written cover letter can increase your chances of an interview. But do not use cover letter if the employer specifically states that it is not needed. Here are some more great words to use on your resume. Your resume is the first impression so make it awesome! Putting some time and efforts into your resume will really increase your chances at an interview and ultimately landing the job. Server responsed at: 04/19/2019 10:22 a.m.